A conventional roof typically has asphalt shingles, which are a petroleum-based product, require a lot of energy to manufacture, have a relatively short lifespan and account for a large percentage of construction waste taken to landfills. 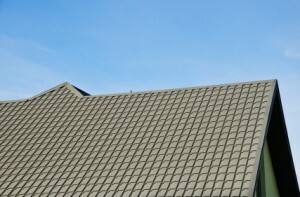 Depending on your budget, we first look for a longer-lasting product to cut down on the number of times you will need to replace your roof. We start with an affordable lifetime shingle that has a good wind rating so that repairs or replacements aren’t constantly needed. Next, we can look for recycled products that reuse old asphalt shingles or other products, such as plastics and metals. We can also use clay, concrete and slate tile, metal roofing, fiber-cement composite roofing or recycled plastic/rubber shingles as desired. A radiant heat barrier, a thin layer of metal foil insulation that can be installed on the underside of your roof, reduces heat transfer into your attic. This, in combination with proper venting and a lighter-colored roofing material, can help lower cooling costs. Our sustainable roofs are longer-lasting, require lower maintenance and provide greater comfort than conventional roofs. Conventional windows are usually standard Energy Star-rated, with an insulated value of R-2 or R-3. 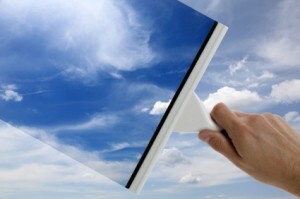 This represents a weak point in your home’s energy performance, since heat is most often lost through the windows. Your green home can have super-insulating windows that use a combination of glazing and films to offer optimal light while lowering solar gain and heat transmission. These windows have an R-value of 5 up to 9, which can reduce heat loss by 30 percent compared with the typical R-3 window. Homeowners can go a step further by using insulated window treatments, increasing the insulation value even more. To learn more about Sustainable vs. Conventional Home Building, click the link below!